What Defines a Visual Notation in BPMN? 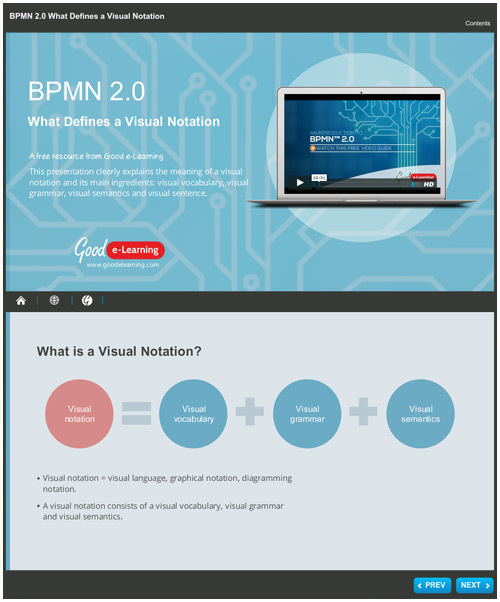 This free BPMN interactive guide clearly explains the meaning of a visual notation and its main ingredients: visual vocabulary, visual grammar, visual semantics and visual sentence. Download this free BPMN interactive guide to better understand visual notation and the main ingredients that make it a key component of business process modelling. Not only will you will get instant access to this learning resource but also our entire library of free learning resources!